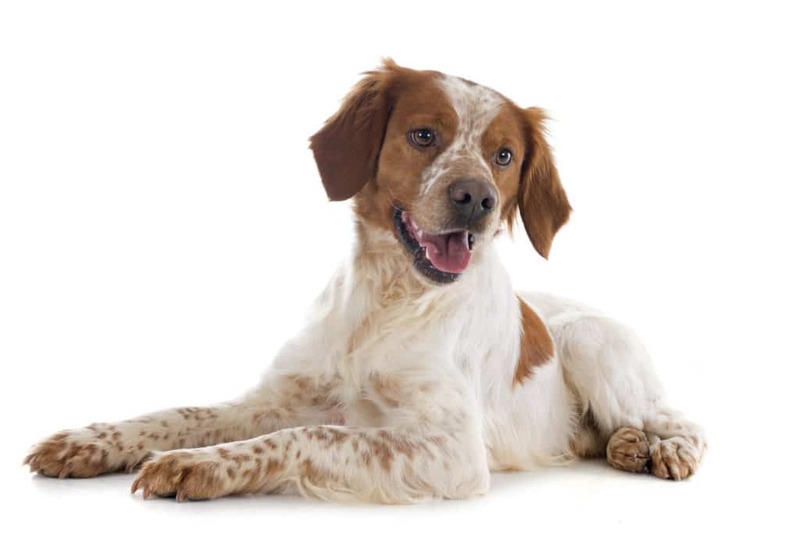 The Brittany is a breed of gun dog bred primarily for bird hunting. Although it is often referred to as a spaniel, the breed’s working characteristics are more akin to those of a pointer or setter. Brittanys were developed in the Brittany province of France between the 17th and 19th centuries, becoming officially recognized early in the 20th. The Brittany is typically quite athletic, compact, energetic, and solidly built without being heavy. Their heads are of average size with floppy ears, expressions usually of intelligence, vigour, and alertness, and gait elastic, long, and free. 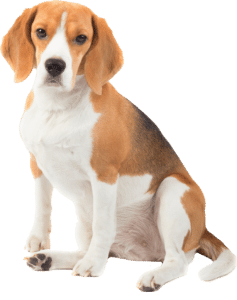 Brittanys are medium-sized dogs, with American lines (17.5–20.5 inches (44–52 cm) at the withers according to an AKC standard adopted in 1990) tending to be larger and have a blockier head than French (17–20.5 inches (43–52 cm)), and females at the lower end. 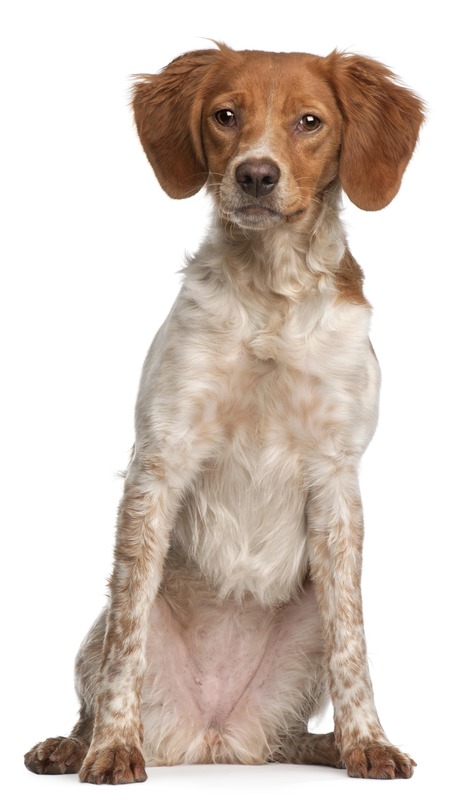 The Brittany was originally bred as a hunting dog and noted for being easy to train and sweet-natured. The breed is generally more sensitive to correction than other hunters, and harsh corrections are often unnecessary. 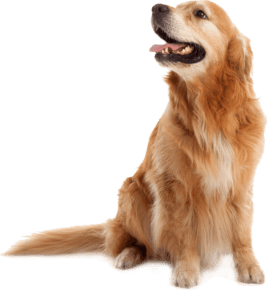 Brittanys can become very shy if not thoroughly socialized at a young age, and even among well-socialized dogs there is significant variation in levels of friendliness. Brittanys are generally healthy and hardy dogs. The median lifespan for Brittanys in France is 12.6 years. A UK Kennel Club survey puts the breed’s median lifespan at 12 years 11 months, with about 1 in 5 dogs dying of old age at an average of 14–15 years.